Reality Combat System is a Martial Arts School offering Hapkido, Krav Maga, Muay Thai, Savate & Wing Chun classes in Downey, CA for kids, men and women. Reality Combat System is Located at PO BOX 4134. View a Location Map, get Directions, Contact Reality Combat System or view program details below. If you are a student at this school, help your local Martial Arts Community by writing a Review of Reality Combat System. You can also help your school by sharing it on Facebook, Twitter, Google+, Pinterest etc. Learn to defeat attackers, including those armed with knives, guns, bottles, baseball bats, multiple attackers etc. Prevent being a victim of carjackings, sexual assaults, and muggings! RCS is based on straightforward moves and instinctual reactions. It covers all aspects of real-street self defense and reality-based self defense, with no rules on the street. RCS is not a sport such as MMA competition. The techniques of RCS are utilized by both male and female law enforcement, military, and intelligence operatives worldwide. RCS techniques stem from French Savate, Israeli Krav Maga, Thailand's Muay Thai, Japanese Jiujitsu, Korean Hwa Rang Do, Chinese Wing Chun, Filipino Kali, Greco-Roman Wrestling, and Western boxing. RCS was founded from principles of psychology, physiology, and analytical movement. RCS is a system of several sciences and principles applied on many levels to create a replicable learning process. This course offers a concise program of a reality-based combat survival system. Urban survival techniques used by military and law enforcement personnel are tailored to civilians. Students will learn efficient self-defense techniques without testing for colored belts. The practitioner will learn techniques to defend from strangleholds, kicks, chokes, punches, headlocks, knife attacks, gun disarms, and attacks with baseball bats. RCS has usually been taught in a "Boot Camp" session, meaning it is usually taught in two days of 10 hours per day. However, for some clients it has been easier to break it down to intervals of two hours per day. At each level of training the practitioner is tested through real world attack scenarios. Once the practitioner proves to have grasped the lesson, the next level begins. Upon completing the course the practitioner will receive a certification of completion in REALITY COMBAT SYSTEM. Learn in private, learn with a partner (two for the price of one), or form a group. Learn in the privacy of your home, an office, a local gym or at a youth center. (Discounts to military, law enforcement or executive protection agents). For those interested in an RCS Instructor Level Certification Course it consists of additional advanced lessons with emphasis on teaching all of the techniques, philosophy, and regulations pertinent to being a certified instructor to civilians, law enforcement, and military personnel. Come-alongs, takedowns, submissions, sentry removal, water combat, VIP-Protection, stealth, and improvised weapons are an integral part to this level of training. Would you like more information on hours, classes and programs available at Reality Combat System? Please contact the school with your questions. Update the details, Write a Review or Report Error of Reality Combat System. 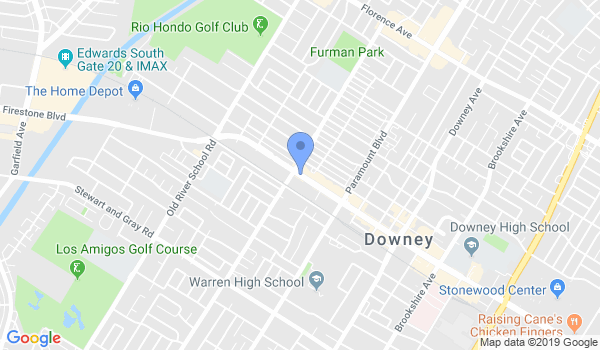 View all Dojo in Downey or in Zip code 90241.